All prescription and non-prescription (over-the-counter or OTC) drugs are man-made chemical compounds that represent foreign substances once they are introduced into the human body. Accordingly, no prescription or OTC drug is 100% safe or without one or more side effects and, as a result, they are subject to the same types of defects that other consumer products may have. It is now estimated that every year over 100,000 Americans die from adverse reactions to and side effects of prescription drugs. This makes you six times more likely to die from an adverse reaction to a prescription drug than in a motor vehicle accident. In addition, thousands of Americans are seriously injured and/or die from adverse reactions and side effects associated with common over-the-counter medications and so-called dietary supplements and herbal remedies. Infants, children, and adolescents are particularly vulnerable to serious, and often fatal, mishaps associated with accidental overdosing, over-medicating, and off-label prescribing. Inadequate testing and rushing drugs to market are primarily responsible for the high number of drugs pulled from the market in recent years. (Between 1997 and the beginning of 2008, 24 prescription drugs as well as numerous over-the-counter products such as OTC cold remedies for infants and children have been withdrawn from the market). 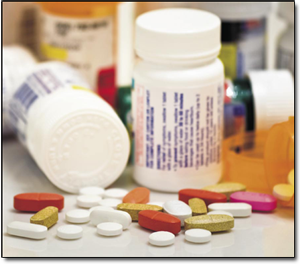 We are involved in many cases arising out of injuries caused by defective pharmaceutical products.